Myrath is not a band. They do not consider themselves a band, nor do they have a frontman. Myrath is a family. They are all equal, brothers up on stage. I had the absolute pleasure of talking to their manager, Nidhal Marzouk, after the show, and he said (paraphrasing): “It’s all us. We have no entourage. We have no roadies. It’s just me and Kevin (Codfert, their producer). But we are family. That is how we are. There is no one person more important than anyone else in the band. We are a family.” And the way they mesh, the camaraderie and the way Myrath comes across all prove this within minutes of watching them. One reason I love going to metal concerts is because one gets caught up in the joy, the energy and the love in the crowd. Sometimes you can literally feel the waves of love emanating from the audience towards the group on stage. The group picks up on this and tries to give 110% in return. It’s a beautiful experience as I’m sure you all know. For the first time ever I did not have this experience at a show. With Myrath, it was something better, something magical. For the first time I felt more love emanating from the band towards the audience. That’s not to say the audience wasn’t giving love, and joy and energy to the band. It was that Myrath was so happy and full of joy to be up there performing for us that they exceeded the audience’s output. From the moment they came out on stage, singer Zaher Zorgati bounding in like a little kid, it was evident. And this was because they didn’t consider us an audience, didn’t even consider us fans. They considered ALL of us part of their family. Zaher said it many times throughout the show, but it wasn’t just lip service. You cannot fake something like that. And that made this special show even more special than we possibly could have imagined. Myrath were also the consummate professionals. They went through many trials to even get to ProgPower USA. Bassist Anis Jouini’s luggage was lost. Malek Ben Arbia’s guitar was lost. (At least Morgan Berthet had his drumsticks!) But the Myrath family didn’t have their plane tickets three days before the show. They had to arrive on separate planes. They got to ProgPower a half an hour before they were due to be on stage! Elyes Bouchoucha couldn’t make the show, so filling in on keyboards was their amazing, talented manager Kevin. But they made it, and you never would have known they encountered any problems getting there. 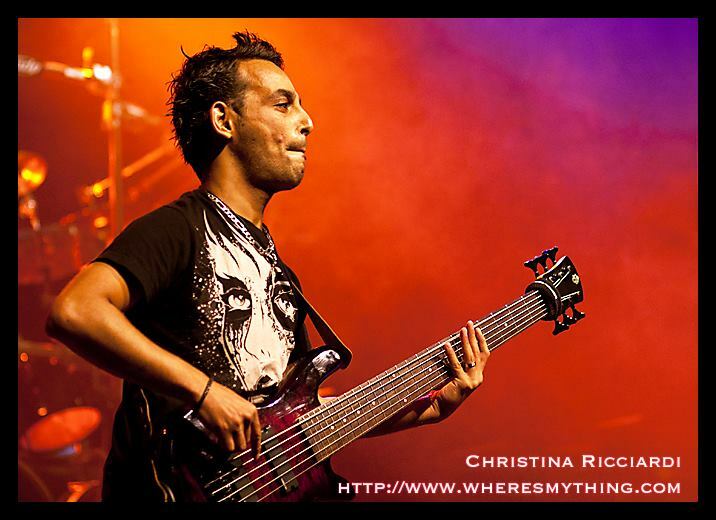 “Braving the Seas” truly showcased Anis’s talent on the bass. And Kevin certainly looked like he was having a ton of fun. If you didn’t know the band you never would have known Kevin was filling in. And Morgan’s drumming was perfection as always. During “Under Siege” Zaher was getting even more excited; his voice was perfect, hitting all the high notes as if he was in the studio. 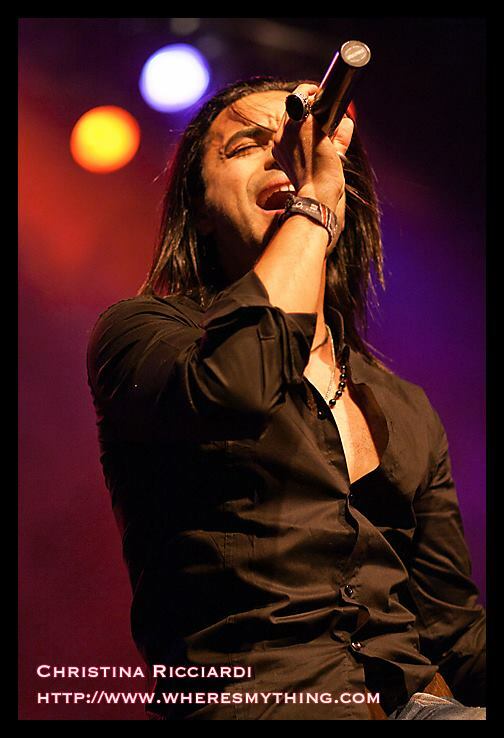 Myrath truly sounds as good live as they do on a recording. All of the members looked like they were born to be up on stage. When Zaher asked for audience participation, for us to sing along “as a family”, the crowd gladly followed all his notes. This continued on longer than usual, but nobody minded in the slightest. Zaher once again said he loves singing among his “big family.” After the final bow, I witnessed probably the cutest thing I had ever seen at a metal show (I apologize for using the word “cutest” but no other word fits). Zaher looked out at the audience, a look of pure joy on his face, and said “I don’t want to leave.” It wasn’t said in a conceited way. He wanted to continue this magical experience for all of us. We didn’t want you guys to leave either.